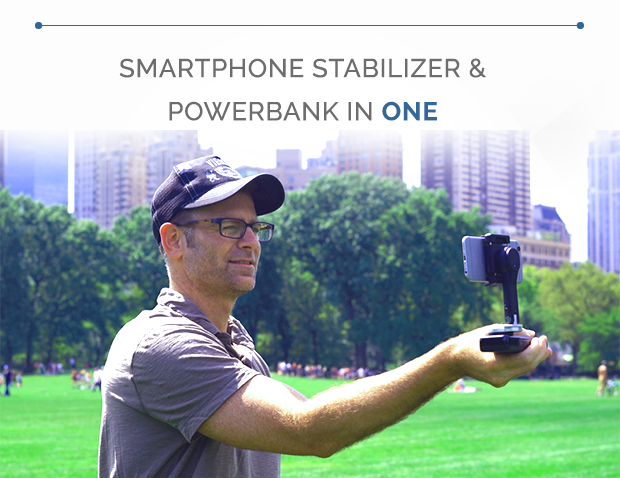 HomePhotographySMOVE: smartphone stabiliser, with a built in power pack and rotor engine. 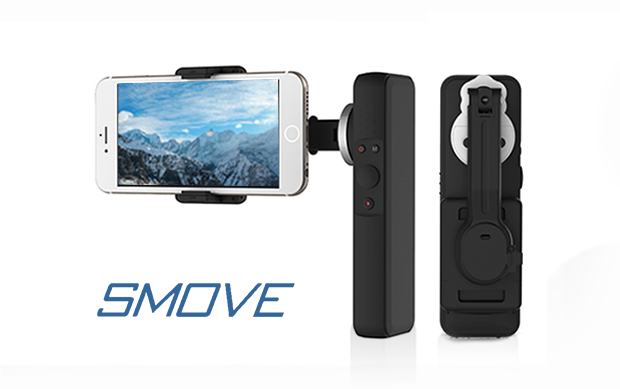 SMOVE is the only smartphone stabilizer that doubles as a charger for your phone of any size: automated 360 degree panorama shots, auto face follow, 1/4″ mount, easily portable, fits in your pocket. 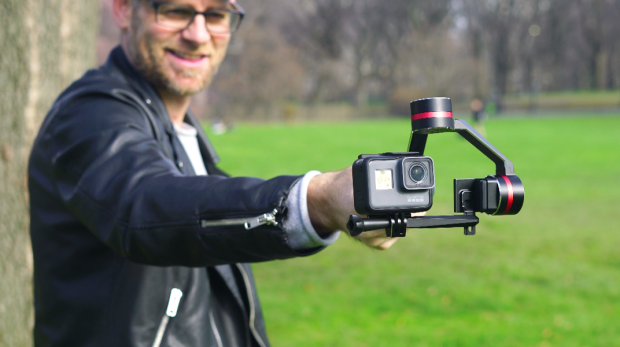 SMOVE PRO 3-axis stabilizer supports both smartphones and all GoPro models and action cameras. 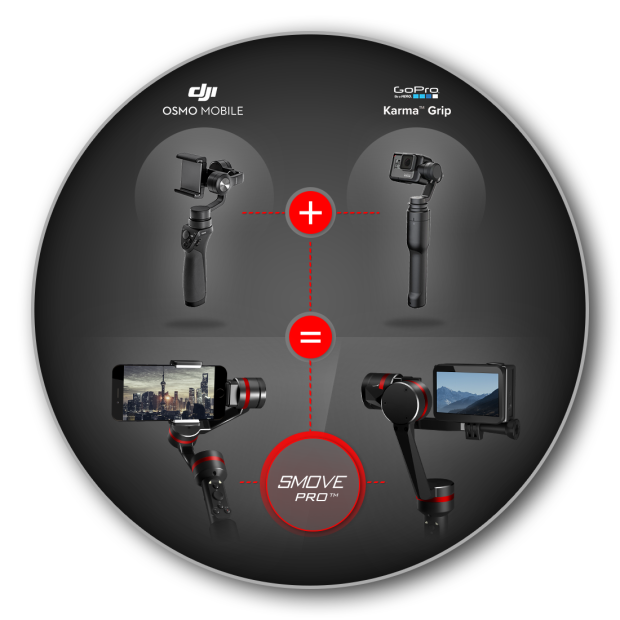 SMOVE PRO™ is the most advanced 3-axis stabilizer supporting both smartphones and GoPro/action cameras, utilizing industry leading motors. 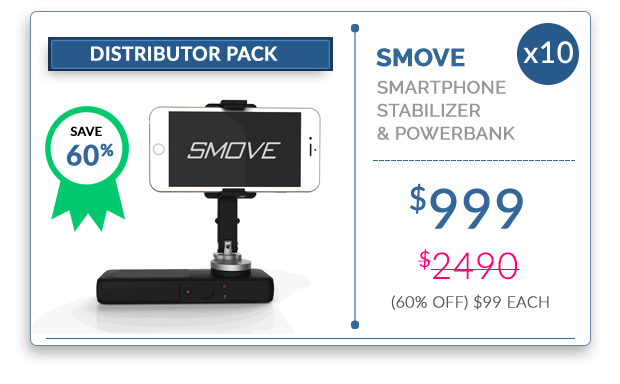 SMOVE PRO™ supports all size smartphones (iPhone 7Plus shown above). It features a slick, modern design making it super easy to use with a thin, ergonomic handle housing replaceable batteries and an intuitive control interface. 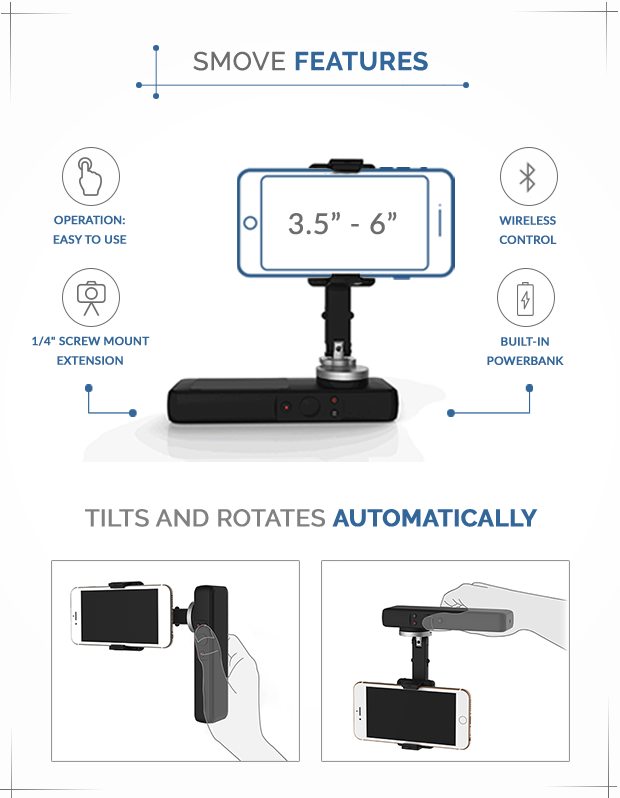 SMOVE PRO™ makes livestreaming easy with a proprietary Auto Portrait control button to easily switch your smartphone from landscape to portrait position – the only 3-axis stabilizer with this capability. 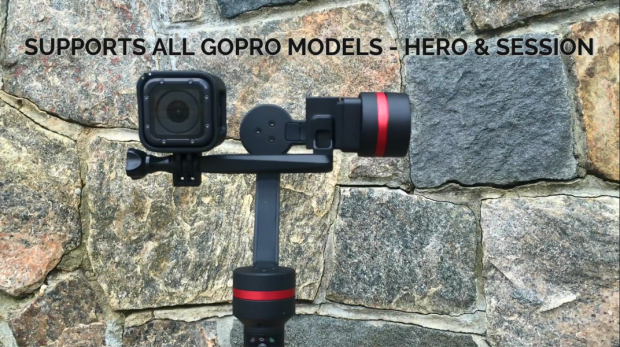 SMOVE PRO™ supports the entire line of GoPro cameras – both the Hero models (Hero 3/4/5) & Session “cube” camera models (Session 4/5) – along with all other brand name action cameras that utilize the standard GoPro sports action mounting frame. 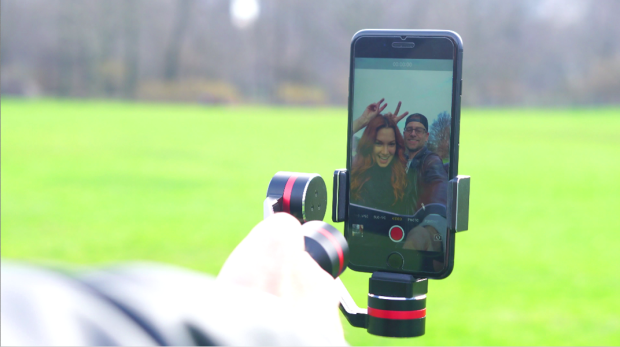 Say goodbye to jittery and shaky videos – get professional looking, smooth videos using your smartphone with the SMOVE stabilizer. 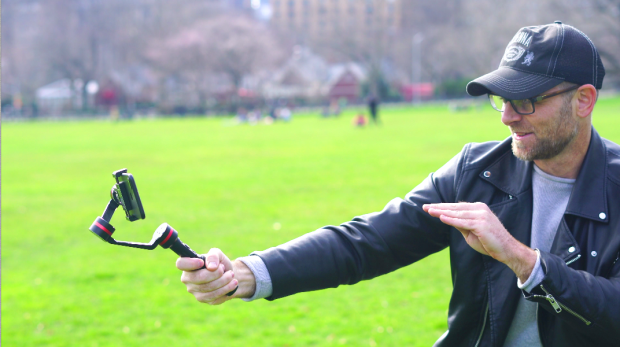 Stabilizes your smartphone videos and charges your phone at the same time. Easily portable, small enough to carry, throw in your pocket or bag. 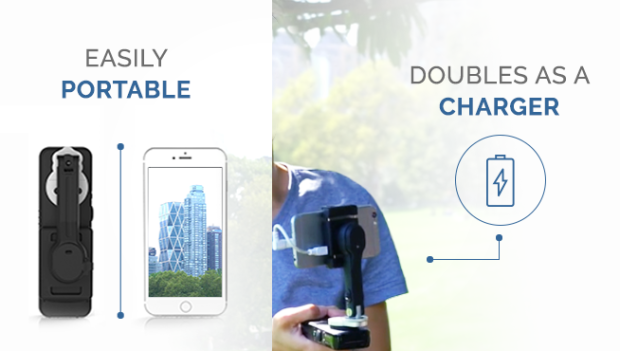 Get 180-360° panorama shots automatically captured and stitched for you. 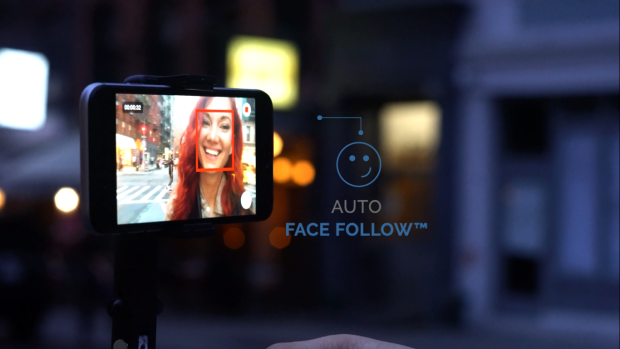 SMOVE’s Auto Face Follow™ recognizes faces and automatically rotates to follow. 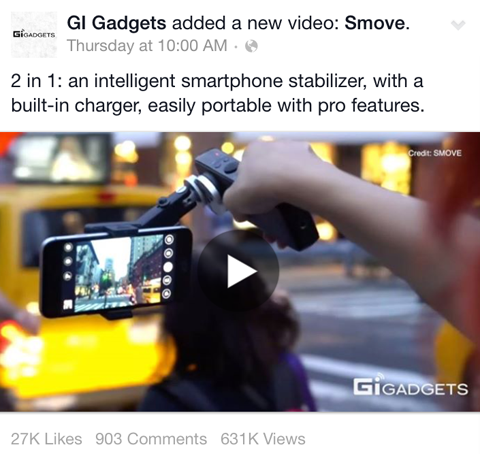 SMOVE is perfect for livestreaming to social media channels. 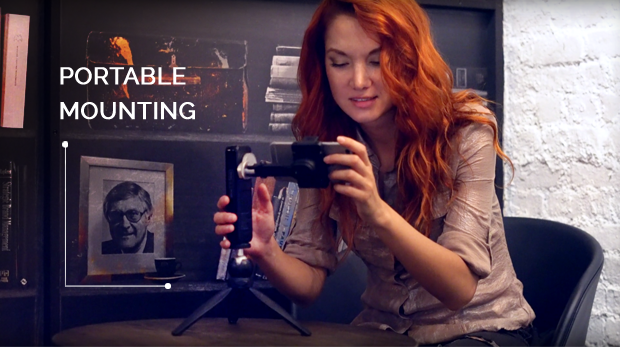 We set out to design and develop the smartest and most versatile smartphone stabilizer. 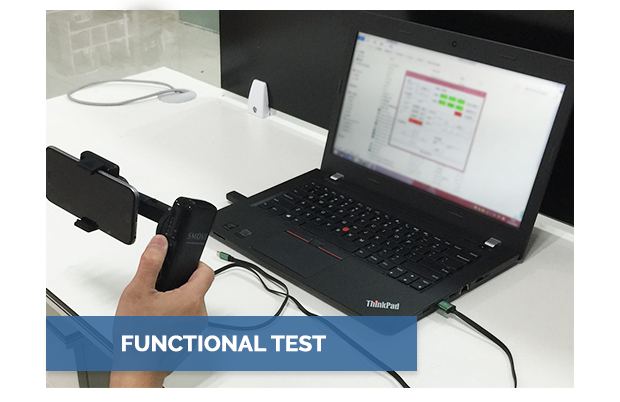 After a year of development and testing, SMOVE is now ready for manufacturing. 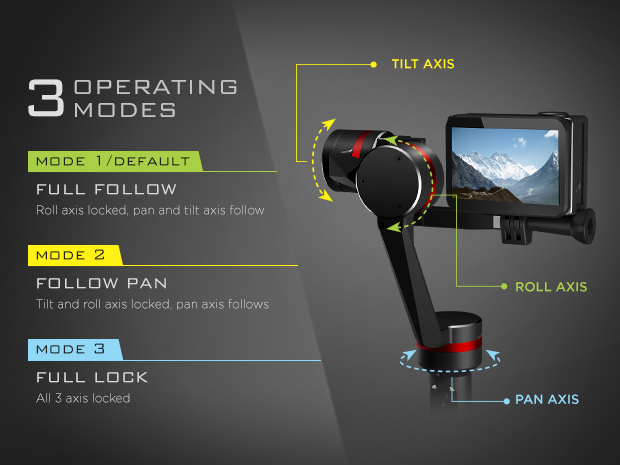 Our team is comprised of design experts and makers of unmanned aerial vehicles, and previously manufactured high performance flight controller systems, smart gimbal systems systems for aircraft, and handheld stabilizing gimbals. 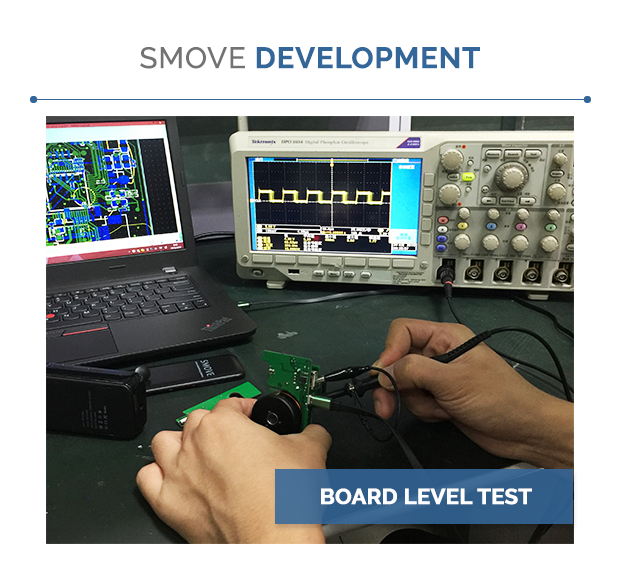 SMOVE is being produced with our manufacturing partner of digital imaging products, with over fifty production and quality control engineers. If you love what we are doing, support our campaign to produce SMOVE!